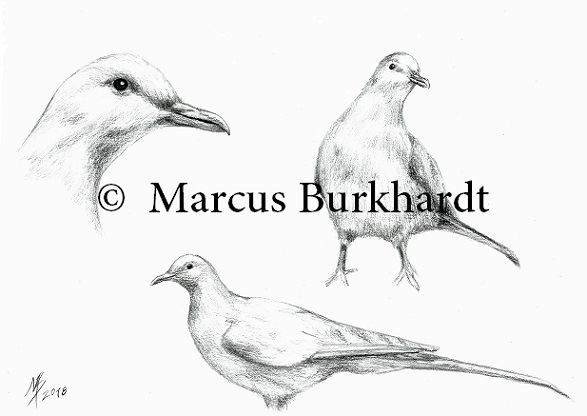 Sketches of a passenger pigeon (Ectopistes migratorius), drawn from a zoological specimen at the Natural History Museum Erfurt. The last one of this bird species died in 1914. It was native in North America.